ANEMONE JEWELRY STAND by Accent Plus home decor, jewelry, decor, decorations, electronics, fountains, floor mats, art glass, vases, garden essentials, fireplace screens. 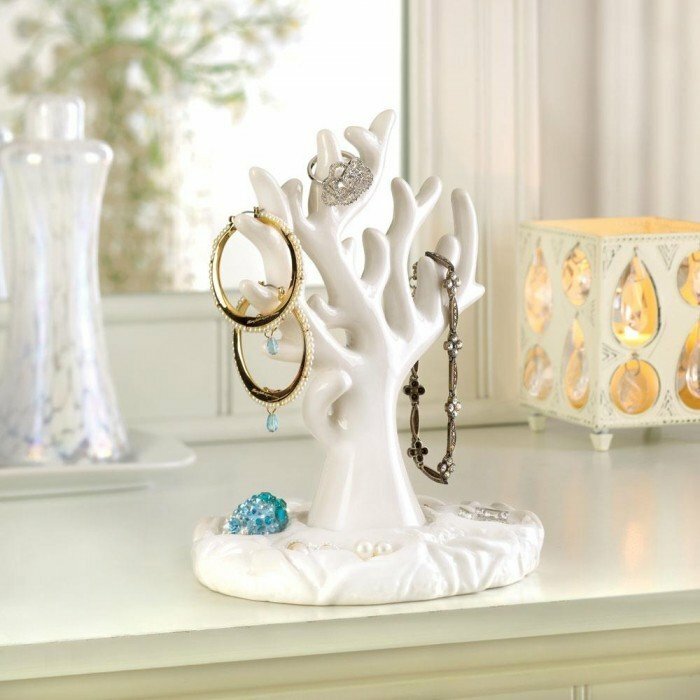 Display your glittering baubles upon a jewelry holder thats a treasure all its own. This sculptural piece of art is fashioned after an undersea coral branch and finished in white for a clean, modern look. It presents endless possibilities for hanging bracelets, rings, and necklaces, and the base has nooks to nestle stud earrings and more! Material(s): PORCELAIN. Weight 1 pound. Dimensions 5.5" x 4.25" x 7".